Thieves have discovered a new way to steal your van via overriding the manufacturers immobilisation system by connecting a Laptop/PDA/EDI Key into the OBD socket and programming a new key into the ECU. Once the key is cut they return to the van, unlock the doors with the new key and then connect their Laptop/PDA/EDI Key into the OBD/ECU connection where they can program in the new key or kid the vehicle into thinking the correct chipped key is present, start the vehicle and drive it away. 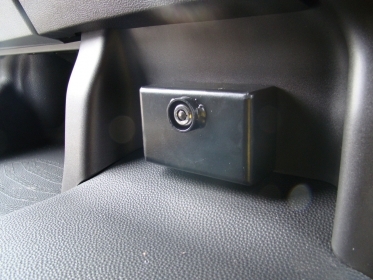 Our Thatcham Quality Assured, Patented OBD/ECU Connection Protection Device encompasses the OBD plug in a Secure Box which is then attached to the crash bar behind the dashboard and can only be unlocked with the correct high security key.